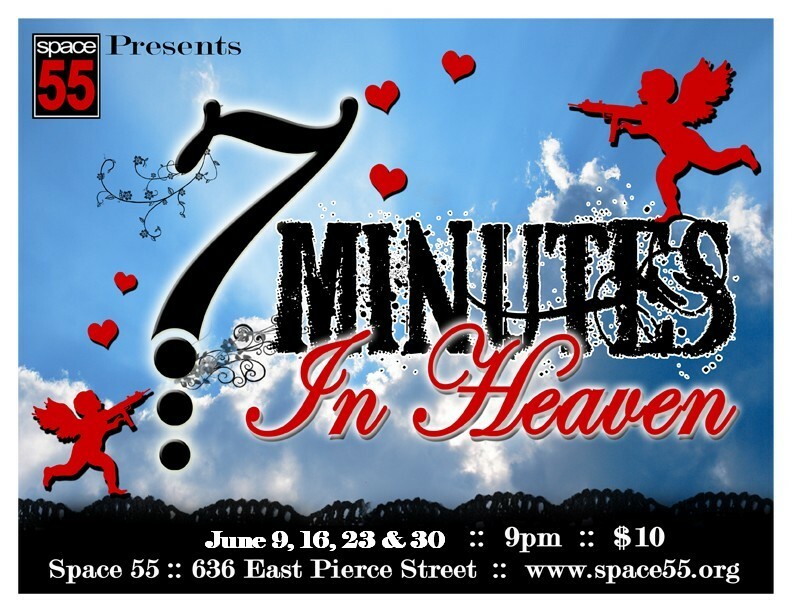 …It’s the 7 year Anniversary of 7 Minutes in Heaven! On four Saturday nights in June, Space 55’s stage will be home to … just about anything. Our annual season-ending series of variety shows, 7 Minutes In Heaven, will treat audiences to a random, raucous assortment of music, mayhem and merriment as it delivers diverse acts, each of which has seven minutes to do whatever it is they do — music, comedy, poetry, dance, magic, yodeling … you name it! Don’t like what you’re seeing? Just wait seven minutes for the next act! Please note: This show is not appropriate for children.